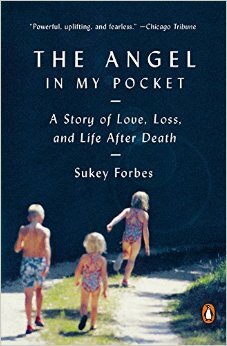 The Angel in My Pocket by Sukey Forbes is a true story of love, loss, and life after death. The author is the great, great, great, granddaughter of Ralph Waldo Emerson. This healing memoir was written after the tragic death of Forbes’ 6 1/2 half-year-old daughter Charlotte, to non triggered malignant hyperthermia in August of 2004. Forbes writes much about her family history and New England upbringing in a stoic blue – blooded family. Like Emerson, the Forbes family tended to be spiritual more than religious and very connected to the earth. This memoir chronicles Forbes years spent soul-searching in order to come to grips with the loss of her beloved child. Much of what is in this book I understood. I have lost many people very dear to me throughout my life and with each passing, I ask myself many of the same questions this grieving mother asked herself. I think this novel would be very helpful to anyone who has lost someone they love, in particular, a child. I believe a mother’s loss of her child must be one of the most difficult things to bear. How do you go on living? Forbes found a way to confront her grief, suffering, and pain through diligent effort and a change in consciousness. This book is a beautiful tribute to Charlotte. It is also a helpful guide for others who find themselves struggling with a similar loss of great magnitude. This entry was posted in Uncategorized and tagged Books, Charlotte Forbes, death of a child, grief, malignant hypothermia, memoir, Ralph Waldo Emerson, Sukey Forbes, the angel in my pocket. Bookmark the permalink.